Removable face mask can be used on a one-per-student basis, or continuously with normal disinfection between students. Fits on Resusci Anne Manikins and Little Anne Manikins. 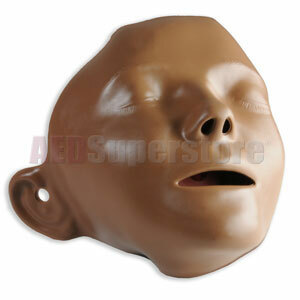 Manikin face masks are realistic and have soft nostrils to facilitate correct nose pinch. Package includes 6 light skin manikin faces with coupling.